How does one begin to describe Guillermo del Toro’s wondrous, magical new film The Shape of Water ? While the bare bones of it is a deeply unconventional love story between a mute woman and an uncannily man-like water creature, the reality of the story is a delicate fairy tale about why we fall in love, and why love can make us do things that we wouldn’t ordinarily do. Since his beautiful and terrifying Pan’s Labyrinth (2006), there are a legion of fervent followers of his films because, quite frankly, no other mainstream director has the kind of bold cinematic, risk-taking vision that del Toro has repeatedly exhibited ranging from films like Hellboy (2004), to 2013’s heart-pounding Pacific Rim – a film that took action and special effects to another level, bringing del Toro’s vivid, eccentric imagination to an audience who were spellbound. The story begins underwater in a tour de force of cinematography as the narrator prepares us for a tale of watery longing and loss. Quickly and efficiently we are then introduced to the mute but warm and incredibly emotive Elisa (the great Sally Hawkins, who was also justly nominated as Best Actress this year but lost fair and square to Frances McDormand), who lives on her own next door to her best friend, Giles (the also amazing Richard Jenkins). The two look after each other as Jenkins struggles with his alcoholism and another secret while Elisa goes to work at night as a cleaner at a secretive government laboratory. Set during the Cold War in 1962, the lab is a cold forbidding place made warmer by Elisa’s friendship with her feisty fellow cleaner Zelda (the lovely Octavia Spencer), who stands up for her silent friend whose main downfall is her dreaminess. Things start to change upon the arrival of a mysterious creature in a water tank — one that is both vicious and tender, depending on who is dealing with him. Suffice to say that one just doesn’t quite know what is going to happen next in this film that is wrought with such care, and laced with so much tension, supported by a cast of characters who are played by the best of the best when it comes to thespians. 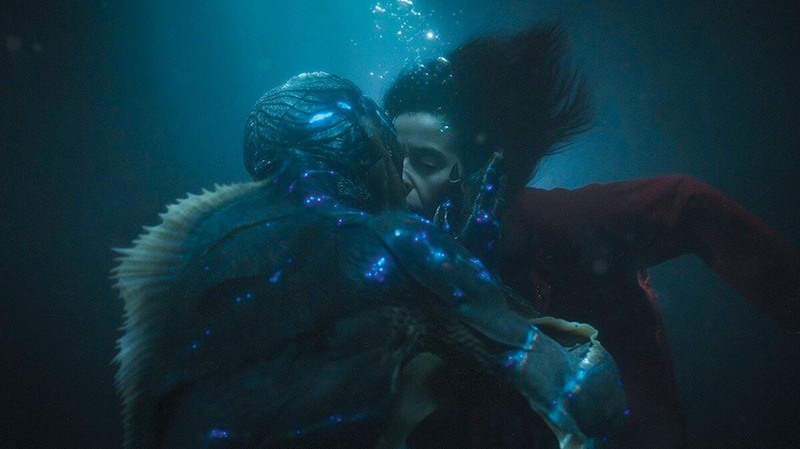 The Shape Water is the kind of film which you watch while biting your nails, laughing with delight, feeling heartsick, all the while unsure of where it is taking you, until it ends, haunts you in your dreams and then makes you want to watch all the good bits over and over again. This is the stuff of dreams and nightmares both – bits of imagination boiled over from a savant’s head and onto pure cinema. It is a film about outsiders, their friendships and their loves, told with the most sensitive heart. It is a real pleasure to finally see a film that deserves to win accolades after so long.